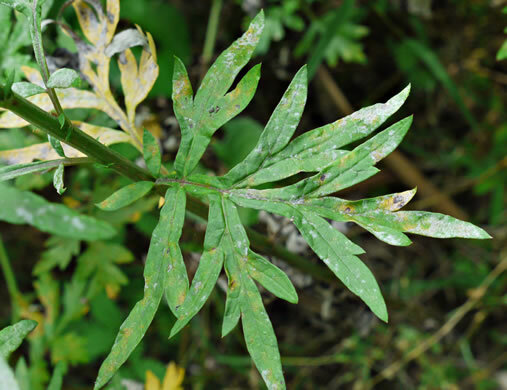 Your search found 3 image(s) of leaves of Mugwort, Ragweed and Spanish Needles. 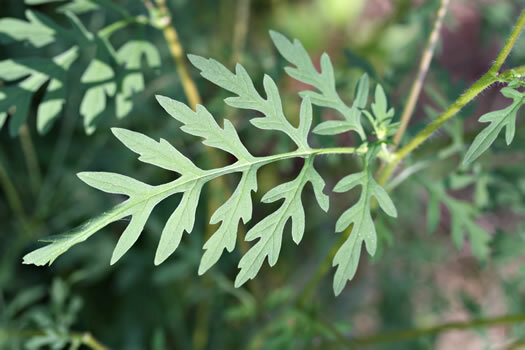 The specific epithet "artemisiifolia" means leaves resembling Artemisia. 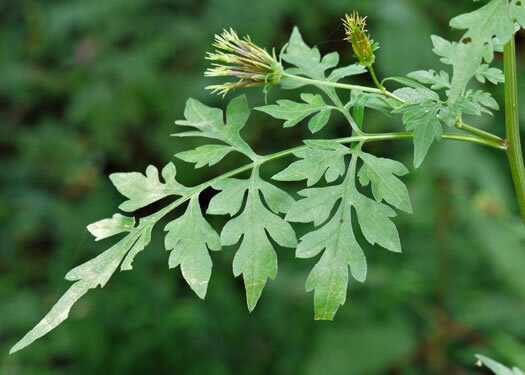 Fern-like leaves are 2-3x pinnately dissected into irregular segments, per Wildflowers of Tennessee. Leaves 2-pinnatifid, with 1-2 stipule-like lobes at the base, per Weakley's Flora.